Are you looking for amazing experience, trendy edutainment avenues and do-it-yourself hobbies? Then Spielwarenmesse in Nuremberg – the world’s annual toy and hobby fair – is the right place to go. 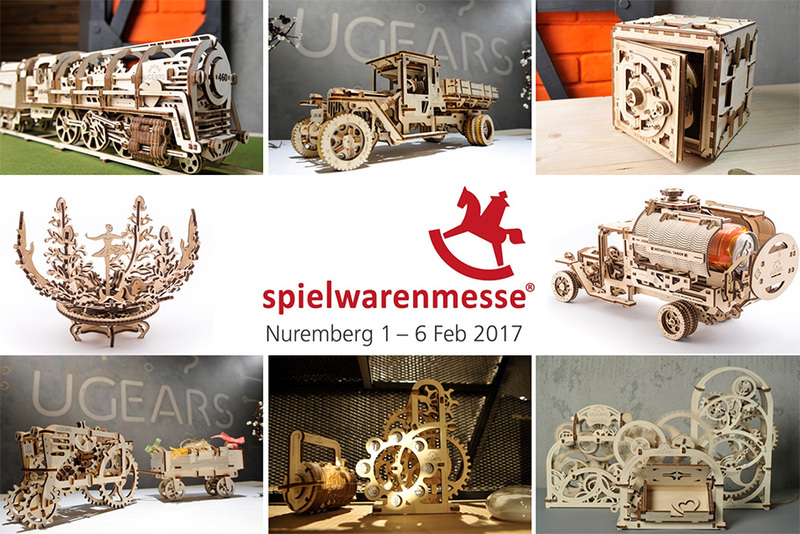 UGEARS team will participate at the Spielwarenmesse 2017 in Nuremberg, Germany 1-6 February 2017 and present our collection of more than 20 self-propelled mechanical wooden models. Spielwarenmesse is where international toy markets come together: renowned brands, toy innovations, licensed products, trendy start-ups, buyers of large chains, independent retailers and a plethora of media representatives make the toy fair in Nuremberg, Germany, the most important event for the toy industry.